If you're looking for exceptional custom stairs and handrails for your home or business, you couldn't have come to a better place! Randy Perry founder of Perry Railworks Inc and The Stair Store Inc. has been in the construction and millwork business for over three decades. Continuously learning and improving on the multiple facets of the millwork industry he has earned a reputation for high quality craftsmanship, skill and a job well done! Both companies are at the top of the list when it comes to delivering outstanding custom stairs, handrails and millwork throughout the Northern Virginia DC Metro area. 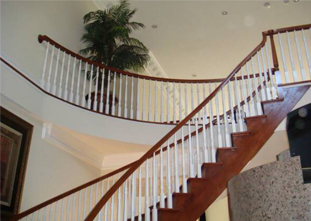 Backed by unmatched excellence, reliability and superior customer service, Perryrailworks and Monarch Custom Stair & Rail stand out as preferred custom stairs and handrail specialist. Together we can be even better! We have built an amazing team of talented and skilled craftsmen, with an average of 18 years of experience, that consistently deliver top quality products and services with professionalism. We are proud to serve as a trusted partner to contractors, retailers, designers and home owners, who have come to count on us for all their stairs and handrail needs. We take pride in delivering exceptional services that produce superior results our clients love! We are passionate about the work we do and it shows in the level of quality, craftsmanship, and attention to detail we deliver with each completed project. The next time you're looking for exceptional customized stairs and handrails, there's only one name to keep in mind – The Stair Store Inc! 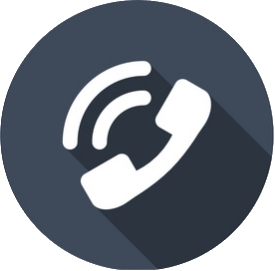 If you want to know more about how we can help you with any and all your custom stair and handrail needs, please call us today! Perry Railworks Inc. and Monarch Custom Stair & Rail Corp. Family owned and operated companies for over a decade each have joined forces as The Stair Store Inc. 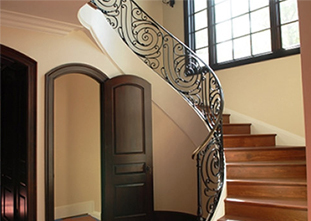 When choosing a company to design and manufacture something as beautiful as your custom staircase, consider the technical details, finishing touches, and added-value options to help differentiate each company Each curved, spiral, and straight staircase we custom design reflects the specific needs and vision of our clients. Whether residential or commercial, wood or iron, classic or modern, we make great ideas work. Itemized estimates outline in detail what you are being quoted. These estimates are paired with illustrative CAD drawings if necessary to allow you to visualize the entire stair project in detail before even confirming your order. We prefabricate your staircase according to the specifications on our drawings in our temperature-controlled facility to ensure quality, save time on site and reduce job site waste. Before shipping, the entire staircase and railing can be assembled in our shop. 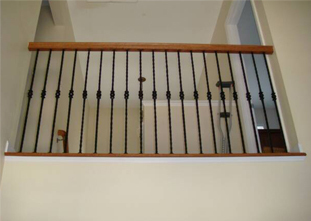 Railing parts would be numbered as necessary and then disassembled, and the staircase is shipped in one piece – ensuring quick and easy on-site assembly. We use Screws vs Nails "in our stain grade stairs" during construction, providing stability and durability, and preventing squeaks over the life of your staircase. This is reinforced with the use of the Proper Adhesives when installing anti-squeak blocks to strengthen each. Making the stair design work with the rest of your home or building is our Top Priority. It’s important for us to give you every opportunity to communicate your vision and get your ideas onto paper. Any measurements or architectural drawings of your home or building will help the sales representative provide the most accurate drawings and quotation, avoiding the need for unnecessary revisions. Once the stair system has been designed, we provide you with a detailed estimate and shop drawings. Any necessary modifications are then made until the quotation and drawings are approved by you.